Vortex Industrial Technology Company based in Shanghai city was found in 2000. And now is a fully developed custom contract manufacturer of mixer and blender. The main products are ribbon blender, plough blender, tumble blender and etc. There are two designs of ribbon blender, one is horizontal ribbon blender and vertical ribbon blender. The difference between is the vessel shape, mostly ribbon blender is U-shaped trough with double helical ribbon agitators, vertical ribbon blender also named conical ribbon blender, which share the same conical shape with conical screw mixer. There are few materials that a ribbon blender cannot blend. 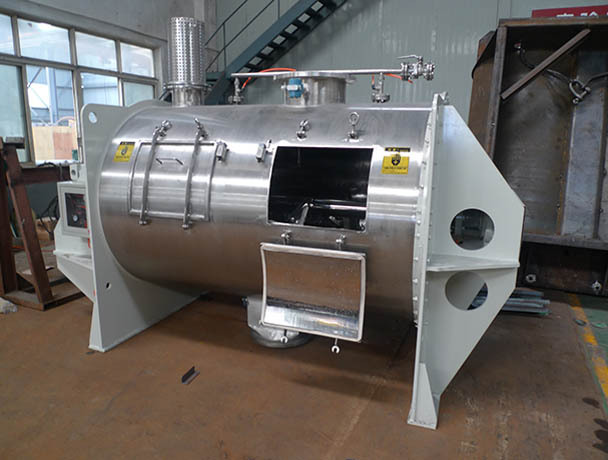 This versatile and highly scalable mixing equipment are available from 50 liter to over 10000 liter batches is used largely across many industries for blending dry powder, particle, granules, pellets, flakes and other solid forms. 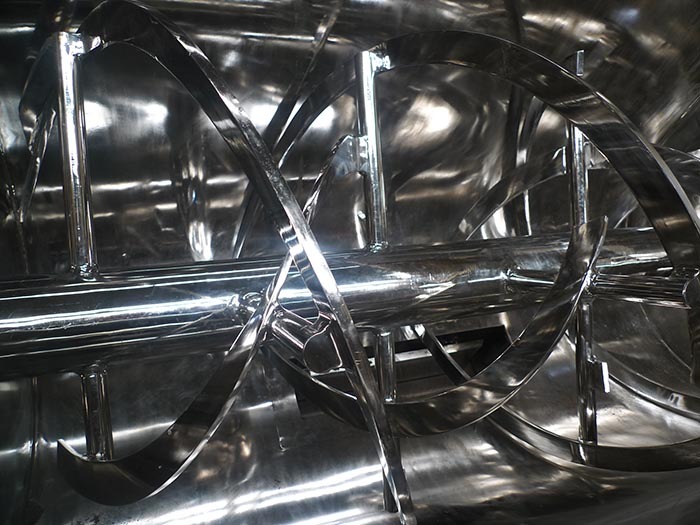 Ribbon blender designs are normally the most-effective blender solution, especially when considering volume production. 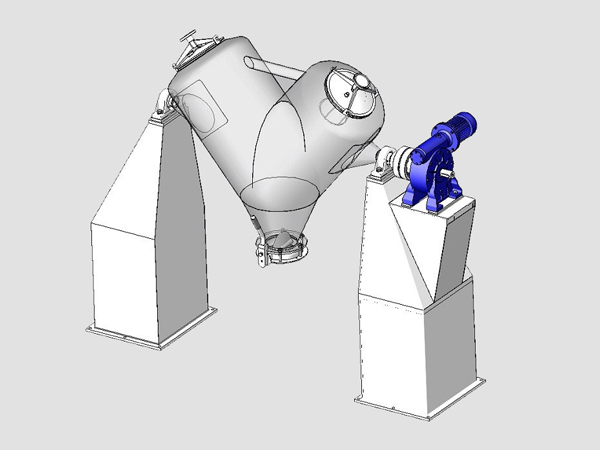 Plough blender is new updated design, with plough shovel welded or bolted on agitator and chopper pitched at the bottom of vessel. Plough blender are best suited for reduction of agglomerates, with high-intensity choppers, plough blender can reduce product size, incorporate colorants or other minor ingredients, disperse lumps and agglomerates, break up liquid-rich shot balls, open up matted fibrous material, and disperse pigments, which result in homogenous mixing. Tumble blenders are either double-cone or V-shaped and rotate on horizontal axis approximately mid-height on the vessel. The speed of rotation is adjusted so the contents slide to the lower portion of the vessel as it is rotated. The V-shaped tumble blender offers a thorough and gentle mixing action with two inclined cylinders attached together in the form of “V”. Tumble blenders are capable of thoroughly blending materials without affecting particle size or causing other physical damage. Tumble blender have the advantages of completeness of discharge and cleaning and easy of cleaning.